Cutting & crushing system with circular upper and lower rotary blades and friction shafts which is provide much more precise cutting. 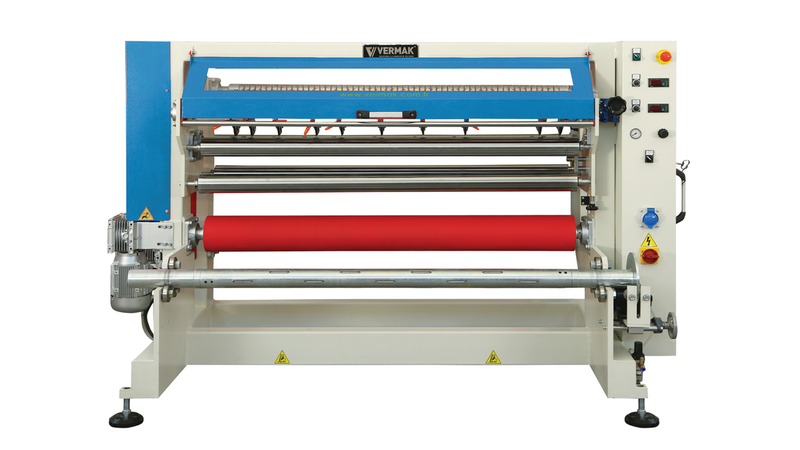 It is a perfect solution for slice papers, folio (PVC, PP, PE, PU), sandwich foils, laminates, some textiles, metal foil and edge materials. Automatic winding brake force air control, contactless and depending on diameter. Continuous network speed, independent of the diameter. Two winder shaft and also available as friction winding shaft. Heavy steel frame in robust design. High drive force for very tight winding, Deionization is available.